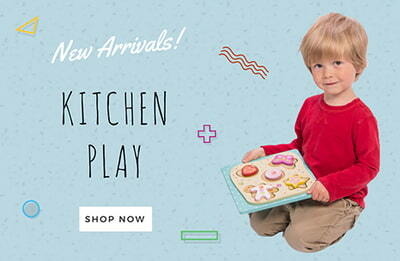 Welcome to KindtoKidz - an online store specialising in quality wooden kids furniture, natural baby products, and toys. We specialise in wooden toys that encourage active and imaginative play and are perfect for birthdays, Christmas and more. Our toys are of heirloom quality without the price tag. 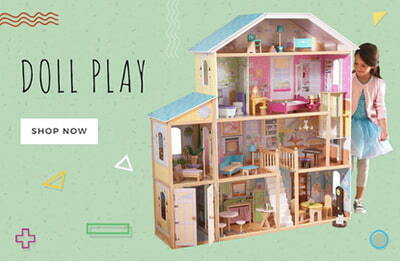 We have a large range of play kitchens, play food toys, dollhouses, playsets, educational toys, Steiner style toys & more. Our friendly customer service representatives can also help you find the perfect gift or toys for your child, grandchild, family member, friend or centre. We believe in only giving the very best to developing young minds and bodies, as well as looking after the environment for the future of all children on earth. Supplying Wooden Toys and Furniture to Homes, Kindergartens, Child Care Centre's, Commerical Fit Out's and More. The majority of our products are commercial grade and perfect for spaces such as child care centre's kindergartens, waiting rooms, play centre's and more. We offer highly discounted prices and a seamless ordering process to make your order process as simple and hassle free as possible. Because we are a small business, our order processing turn around is very quick (same day) and most items are dispatched by next day. We also pride ourselves on fast and friendly customer service. We offer great prices and great customer service rolled into one. Please take the time to check out our reviews and visit us on social media to keep up to date with specials and giveaways. Happy Shopping and thank you for visiting KindtoKidz!